THE SKINNY: There is nothing better than finding a cheap product that works like a charm. Freeman Polishing Mask with Charcoal and Sugar is just that. 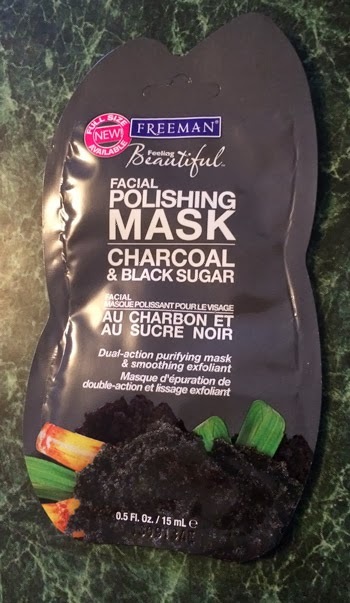 When you first look at the mask (which is a bit of a misleading term), it is black but looks like dampened sugar crystals. It goes on pretty light -- you can see skin through it -- and rinses off after five minutes. While it is called a mask it works much more like an exfoliator. CHECK IT OUT: This mask is an Allure Best of Beauty Winner -- typically the sign of a great product.